Thank you for your interest in the writing services I offer. I bring more than 10 years of experience with content writing for a wide range of media, including web pages, blogs, books, magazines, flyers, newsletters, ebooks, social media posts, product descriptions, and more! I have done writing work on just about every topic, and I am comfortable with most content topics, so long as they are not heavily focused on math and sciences. My most prolific writings have been on topics such as: finances, family and lifestyle, health and wellness, pet and animals, gardening and landscaping, cooking, travel, fashion and jewelry, social media, business, marketing and advertising, real estate, interior design, games and electronics, computers, parenting, and more! Please see below for my general rates and services- please note these are estimates and I can provide you with a more solid estimate after discussing your project and needs with you. So contact me at my email below and I would be glad to help you out! Trust me, I would be charging a lot more if I went by what I was worth but I have yet to find clients willing to pay above these rates- even these rates are difficult to find people willing to pay. Seems today people want their websites filled with blogs of high quality written for 1-2 bucks for 500 words or they want a 30K e-book done for 50 bucks. Makes it very hard to survive as a freelancer. 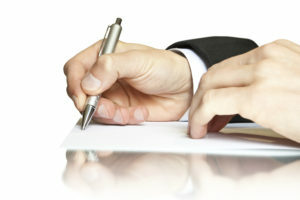 I must say that you have very deep experience in content writing and have very large set of niches in your skill zone. I am a web developer and also write a blog when I get some time from my work. I will surely get in touch with you in the near future to get some tips on blogging to drive more traffic on my blog. And your rates are very cost effective. You’re quite talented and far too underpaid. But I know that you need to pay the bills. I don’t know how you do what you do, but my dear I tip my hat to you. I may have to look you up in the future, because there are times when I have things that need written and I have no desire to do so. That is so true that the prices are way too low for your huge talent.. It is so sad the people nowadays try to pay only a couple of dollars for something that you can create but hopefuly in the near future people will start paying freelancing as it should be paid.. We can hope, at least! I agree that your rates are crazy low. I’ve also done freelance writing and when clients want to pay super cheap rates, it’s kind of ridiculous — good writing takes effort and time. And part of SEO is having content that draws and retains customers. Hiring someone who churns content for a dollar per post is not going to produce quality work. Hope you can build up a good client base and increase rates!